The Portable Tripod Laptop Stand features an adjustable tilt top and overall height adjustment; making for a safer, more comfortable fit. The Laptop Stand is ideal for DJs or Musicians and will hold not only laptops but also mixers, effects units or lighting consoles, up to a maximum 15 kg weight. Please Note: This listing is for the stand only and does not include the laptop. The Portable Tripod Laptop Stand features an adjustable tilt top and overall height adjustment; making for a safer, more comfortable fit. The Laptop Stand is ideal for DJs or Musicians and will hold not only laptops but also mixers, effects units or lighting consoles, up to a maximum 15 kg weight. 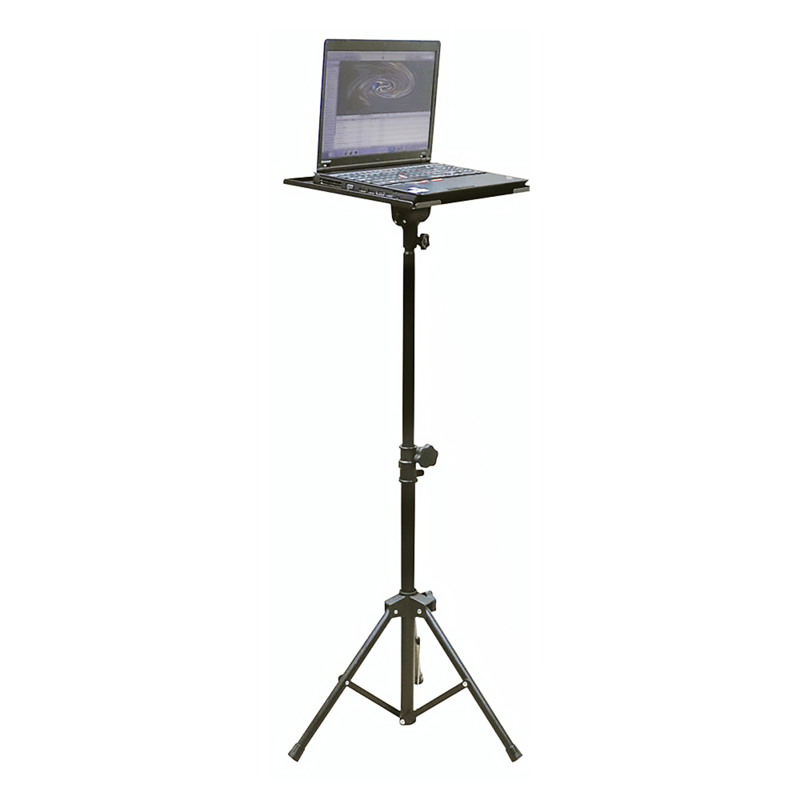 Designed to be quick and easy to assemble and transport, the Portable Tripod Laptop Stand is great for mobile or temporary venues and locations, while the sturdy construction makes it durable and robust for everyday use.